The University of the Philippines, Diliman professor and dubbed as the “Internet superstar”, Ramon Bautista promise to give his one vote to Liberal Party’s (LP) presidential bet Manuel “Mar” Roxas II. "Daming nambabatikos at nanghuhusga na walang batayan. Basta ito ang stand ko bilang malayang Pilipino - kay Mar Roxas and boto ko." Daming nambabatikos at nanghuhusga na walang batayan. Basta ito ang stand ko bilang malayang Pilipino - kay Mar Roxas ang boto ko. He boldly said these statement on his Twitter account yesterday, December 8, 2015. Because some of his attackers accused him for being a sellout. 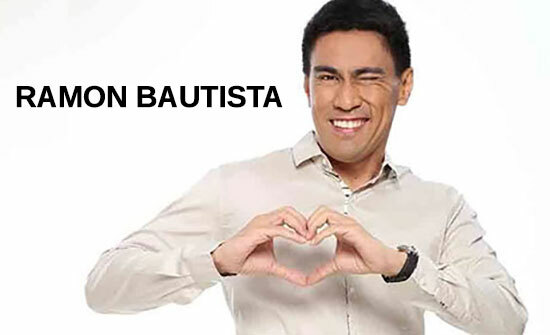 And many dismayed netizens attacks Ramon Bautista because in an episode of the “Kontrabado,” where he and his co-hosts mocked the fist bump of Mar Roxas to the elementary student. Ramon Bautista first appearance as Mar Roxas and Leni Robredo endorser in the music video “Fast Forward,” where all the celebrities in the video was supporting the Liberal Party presidential and vice presidential candidates. According to the director of the said video, all celebrities who appeared in the music video “Fast Forward.” has no talent fee. Director Cristhian Escolano said, "All the artists who came on board for the MTV volunteered when we spoke to them. No one was paid for this except the production team." Comments or suggestions about "Ramon Bautista promise to give his vote to LP Presidential bet 'Mar Roxas'" is important to us, you may share it by using the comment box below.